How often do you get the chance to take part in a reading before the book is published? 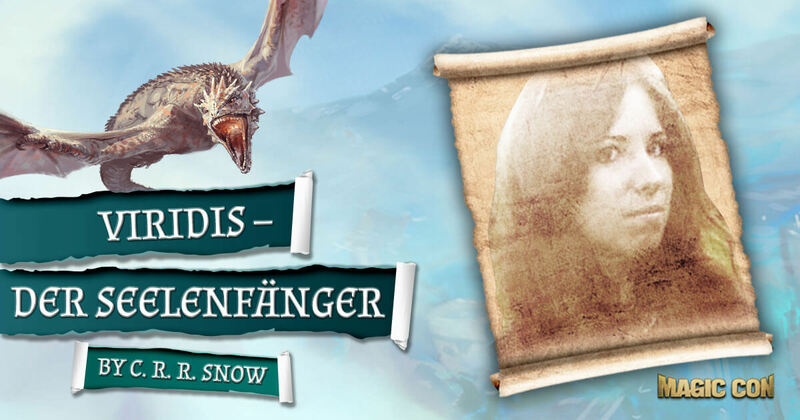 This is your chance to get an impression of what awaits you before the release of Viridis – Der Seelenfänger (Viridis – The Soul Catcher) by C. R. R. Snow! Join us and be part of the adventure that lies ahead of you in 2019! Join Lena and her friends into the world of Viridis and explore magical places. Join them in finding the deep powers of the paladins and fulfill an ancient prophecy that will ultimately decide victory or defeat. Fight alongside elves, dragons and magical creatures against the dark Magnus. This exclusive sneak peek will only be available at MagicCon 3. Let yourself be taken into the magical world of Viridis. The Soul Catcher is the prelude to a series of three books, plus another prehistory volume and a fairy tale book. C. R. R. Snow is an author from Austria who began early to share her stories with the world. Already at the age of 9 it was clear to her that she never wanted to be anything else than an author. From then on, fantasy stories and fairy tales were an integral part of her life, both as a reader and as an author. After an apprenticeship as a graphic designer with a high school diploma, she finally ended up in an office job via detours. In return, she writes, studies German language and literature and goes to conventions to express her love for fantasy in costumes. Their first novel will be published by selfpublishing in 2019.